The first DLC for Battlefield 1- They Shall Not Pass, will be out in march, but what it will have was announced on the official site. 4 new maps, a new army faction, 2 new vehicles, a new class and a new mode away anyone who gets the DLC for 15$. 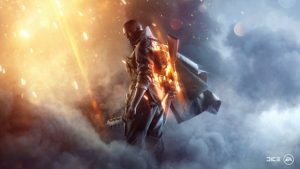 If you are an owner of the “Battlefield 1 Ultimate Edition”, you will get two weeks early access this and other future DLC’s. Alternatively, you can buy a Premium Pass for 50$ for this and the other 2 DLC’s in the works. The vehicles are the 2C tank, and the Assault Tank Gun, The new class is called the Trench Raider Elite, equipped with the Shutter Shades, a new stationary weapon: the Siege Howitzer and a Raider Club. As for the mode, its called Frontlines. By its description, it seems to be a mix of two other modes. Both teams race to capture a single flag and when someone does a new flag appears on a different spawn point, deeper on the enemy side.